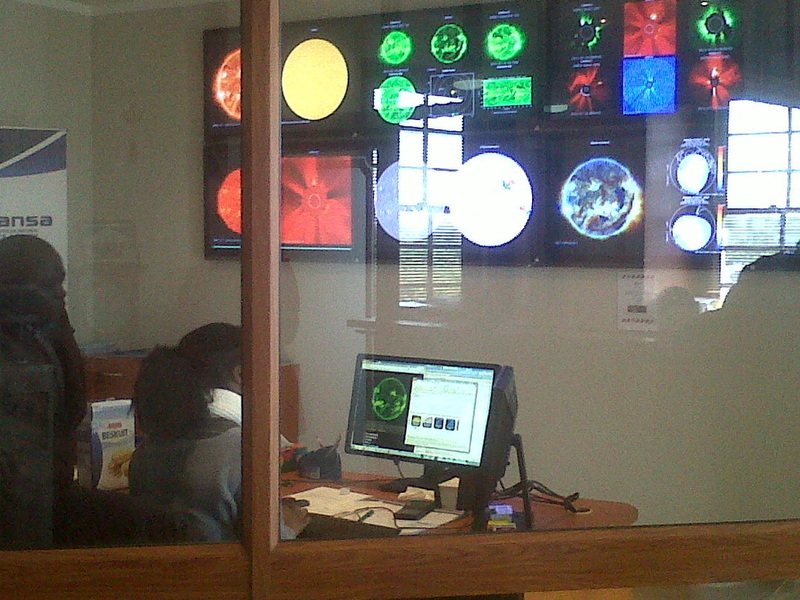 Astronomy - The Cape Academy of Maths, Science & Technology: Centre of Excellence! 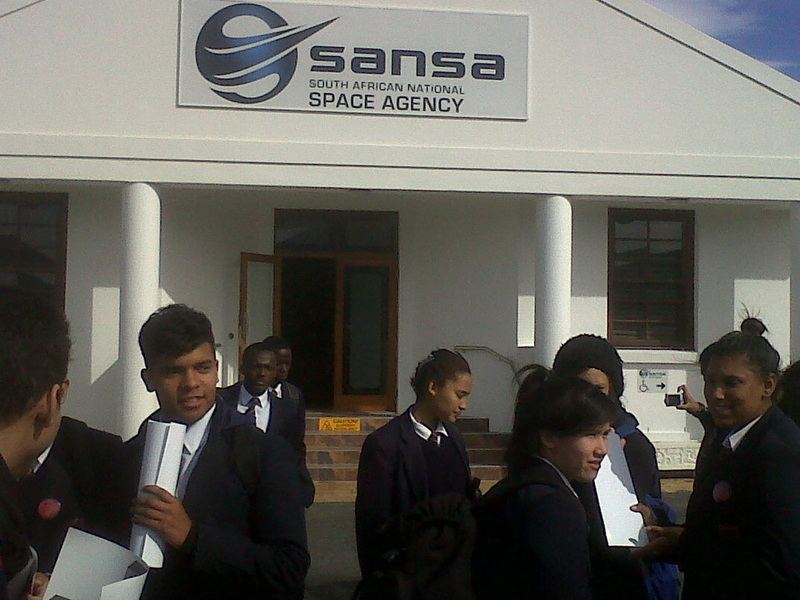 ... "Praestantia"
On the 28th of May 2015 a group of learners from our school had the privilege of attending a lecture at the South African Astronomical Observatory (SAAO) headquarters in Observatory and it was quite a night to remember. Whereas the lectures we usually get invited to are a bit too complex for high school students to understand, this one was right up our alley. The lecture for the night dealt with Automated Robotic Observatories (AROs) and we got a look at one in particular, namely “Project Ultrascope” which is run by the Open Space gency. When we got to the observatory, we were introduced to the team behind the project and spent the night learning about the aims of the project, as well as the design behind the telescopes. What made the night even more interesting was the fact that not every member of the design team was with us at the observatory – in fact, only three of the 6 members were there with the other three joining us from their respective countries via Skype. 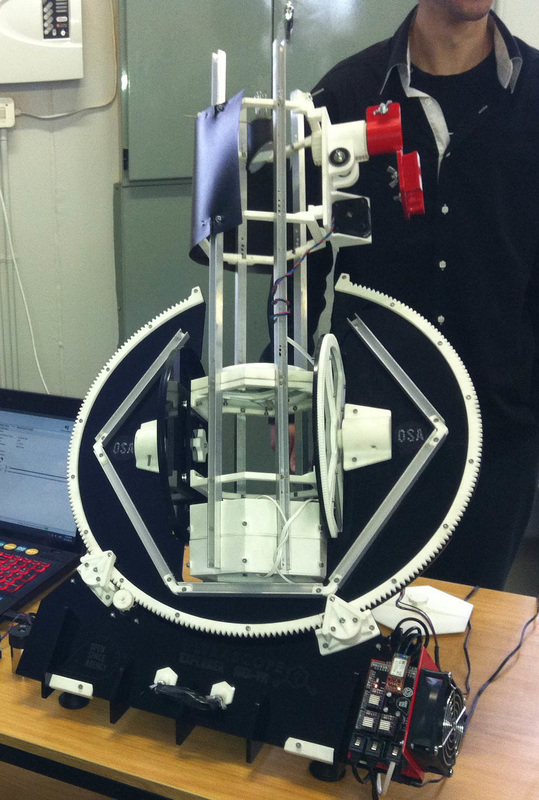 The aim of the project is to promote amateur astronomy by designing an ARO at a very affordable price and they reduce the cost by using a 3D-printer to make all the parts, a process which is much cheaper to the alternative methods. What makes the telescope even more interesting is the fact that cell phones are used to control the movement of the telescope and to record the images captured by the telescope. This means that it is not necessary to sit with your eye glued to a telescope to gaze at the heavens – instead, you can point the telescope in a direction of your choosing and capture and transmit the images digitally. I believe this will go a long way in generating interest in astronomy, especially with my generation being so glued to cellphones. Whereas there are usually no questions asked at the lectures we usually attend (with a few exceptions), owing to the fact that the topics are usually above our comprehension, on this occasion the questions were a dime a dozen and we kept throwing questions about the design at the team, which just further goes to show how interested we all were. One of the other aspects of the Ultrascope that makes it unique is the fact that it is open source technology, which means that, once the design are uploaded onto the internet, anybody will be able to download them and make whatever changes they wish to it. My personal highlight of the night was when we got the opportunity to present our own ideas to the design team on how it could possibly be improved in order to make it more efficient. We were given time to analyse the Ultrascope and, based on our analysis and the information they gave us, we split up into groups and were all given the opportunity to present our ideas to the team on how we believe it could be modified to make it more efficient or more appealing to the masses. I found this highly enjoyable as it is quite rare for unqualified students such as ourselves to be asked for advice on something as big as this project, with our opinions usually being discounted due to our age (or rather lack thereof). Not only were we encouraged to give our opinions, we were commended on our ideas for improvement and encouraged to contact them if we think of anything else that we believe could make the already amazing Ultrascope even more so. By the end of the night, we were very reluctant to leave and return to school, despite the late hour. All in all, it was an absolutely magnificent night and one I am very thankful for being granted the opportunity to experience. I cannot wait to get my hands on an Ultrascope and use it to gaze at the night sky, attempting to unlock all the secrets it holds . . . .